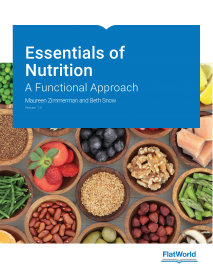 Essentials of Nutrition: A Functional Approach, by Zimmerman and Snow is a textbook aimed at non-majors for the nutrition course. With this text your students will examine some of the popular myths about nutrition and will develop a foundation for making smart dietary choices and to debunk these common nutrition myths. As students learn about the role of nutrition in optimal health, they will learn about dietary nutrients and toxicants. A sampling of topics covered include macro- and micronutrient needs; determining individual nutrient and caloric needs; digestion and absorption; nutritional needs throughout the various stages of human development; and current food issues, sustainability concerns, including food safety. Snow, M.E., Dudkina, T., Tong, S., Lee, V. Complexity, Collaboration, and Iteration: An Evaluation Framework for Build Healthy Communities at Fraser Health. Health Evaluation Conference, Canadian Evaluation Society BC & Yukon Chapter, Vancouver, BC, November 21, 2014. Mussenden, J., Foulkes, R., Wall, C., Snow, M.E., Swinkels, H. Using Developmental Evaluation in a Complex Partnership-based Health Promotion Initiative. Health Evaluation Conference, Canadian Evaluation Society BC & Yukon Chapter, Vancouver, BC, November 21, 2014. Snow, M.E., Bachmann, L., Dickenson Smith, K., Shaw, K., Van Tent, T. Improving Perinatal Care: Lessons from Prototyping a New Seamless Transition Care Model. (poster). Canadian Public Health Association (CPHA) Conference, June 2013. Snow, M.E., Tweedie, K., Shrestha, H., Bachmann, L., Pederson, A. Creating a Model to Engage Marginalized Women in Health Care Program Planning: The AWESOME Project. (poster) Canadian Association of Health Services and Policy Research (CAHSPR) Conference, May 2013. Snow, M.E., Bachmann, L., Dickenson Smith, K., Shaw, K., Van Tent, T. Transforming Perinatal Care in Fraser Health: The Three Cs of a New Seamless Transition Care Model. Public Health Association of British Columbia (PHABC) Conference, Nov 2012. Snow, M.E., Tweedie, K., Shrestha, H., Bachmann, L., Pederson, A. Creating a Model to Engage Marginalized Women in Health Care Program Planning: The AWESOME Project. (poster) Public Health Association of British Columbia (PHABC), Nov 2012.